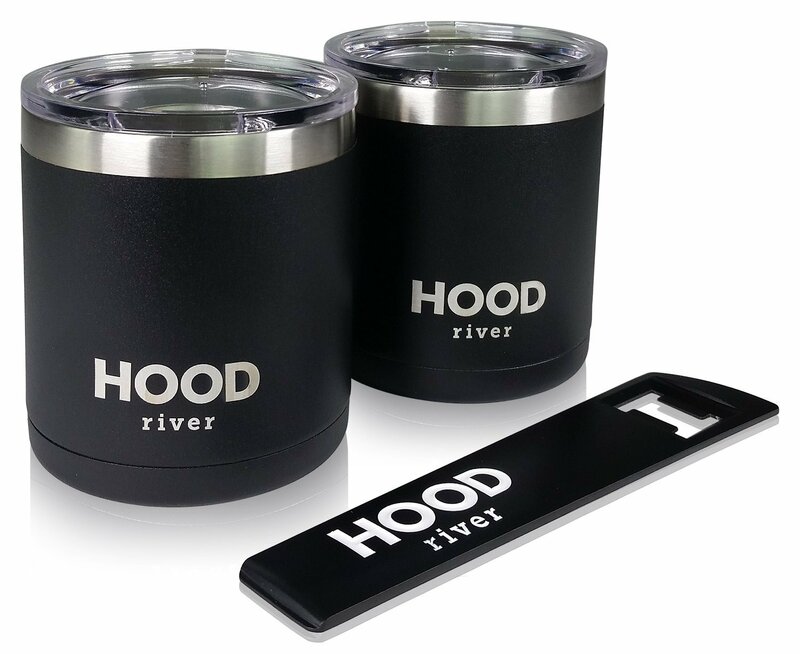 Home › Home and Kitchen › Hood River Stainless Steel Insulated Beer Cup Cocktail Tumbler Low Ball With .. RESOURCEFUL - Handles Whiskey, Beer, Cocktails, Coffee - Even Ice Water - with Style and Ease! Package Quantity: 2 Consider The Hood River double walled Tumbler as the Swiss army knife of drinkware. It's an essential tool for enjoying the outdoor life. It's is soversatile, You'll reach for over and over. It handles beer, whiskey, coffee,old fashions, margaritas, wine - even cold water if necessary. Made fromvacuum insulated, double-wall stainless steel and backed by our lifetimewarranty, you'll hand this down to your kids. Powder coated. 13.5 oz, Includes100% Tritan plastic lid. Keep one of these in your utility box or backpack andit will be your faithful sidekick for all your epic adventures.